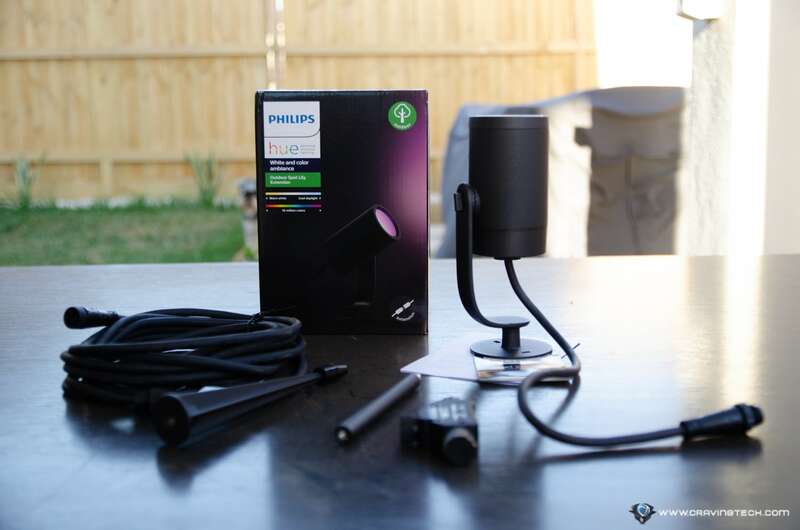 Philips Hue Lily Outdoor spot light Review – I’m an avid fan of Philips Hue and I literally have all of my Hue review units set up throughout my home: the Hue bulbs on the ceilings and lamp stands, Hue Lightstrip on my desktop, Hue lamps in my dining and bedroom. And now – my backyard is getting an upgrade as well. 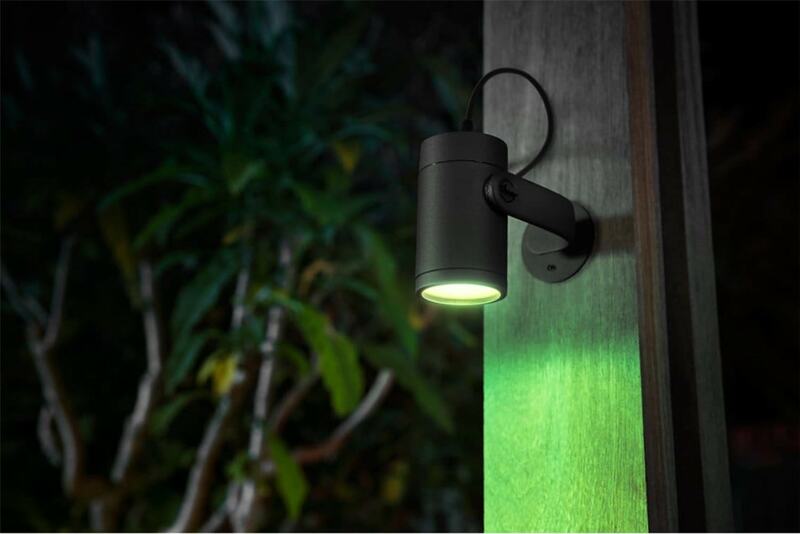 The Lily Outdoor spot light from Philips Hue doesn’t just bring 16 million colours to the outdoor, but along with it, home automation thanks to its support for Apple HomeKit, Google Assistant, and Amazon Alexa. AU$169.95. 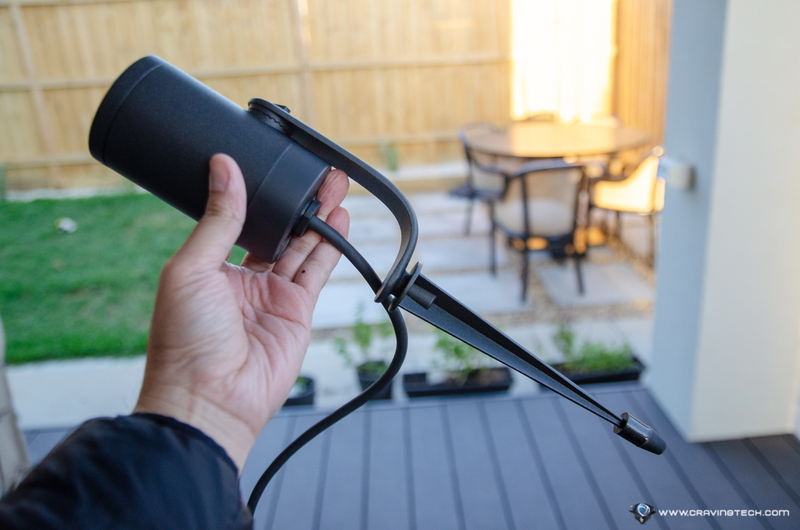 And in the future, should you decide to extend it with more Lily Outdoor units, you can grab the “Extension” model which is AU$40 cheaper, i.e AU$129.95. 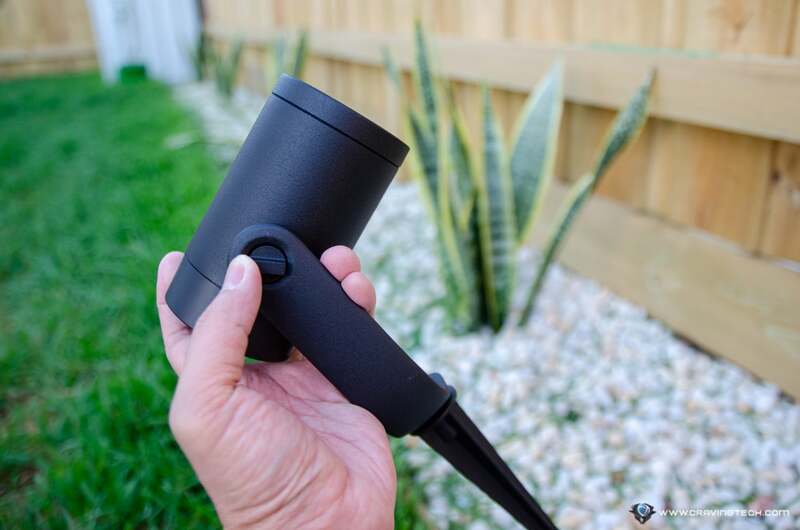 The packaging includes generously long cables (definitely a plus here), connectors, and an option to either set up your Lily Outdoor on the wall or on a garden bed – where you can just stick the unit into the soil. Installation is pretty simple as you only need to plug cables to connectors without much hassles. It’d only take a while if you really want to set the cables neatly out from view. 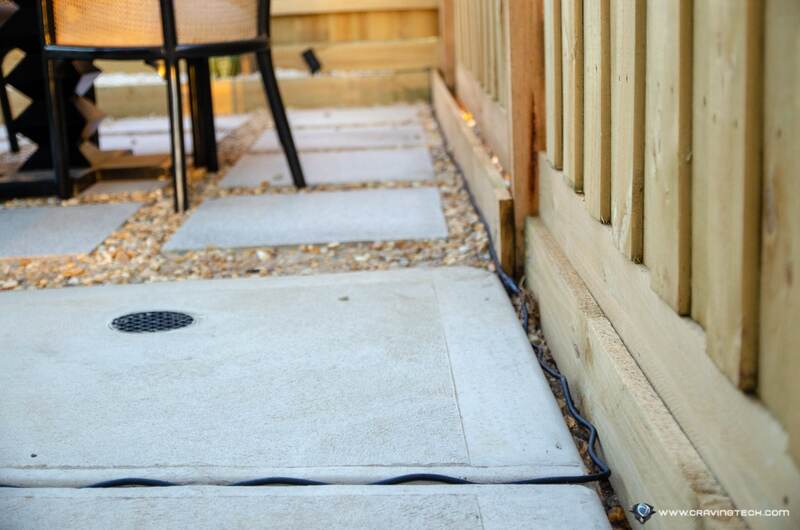 The long cables definitely help in setting it all up as I tried to lie the cables along our boundary fences, away from view. 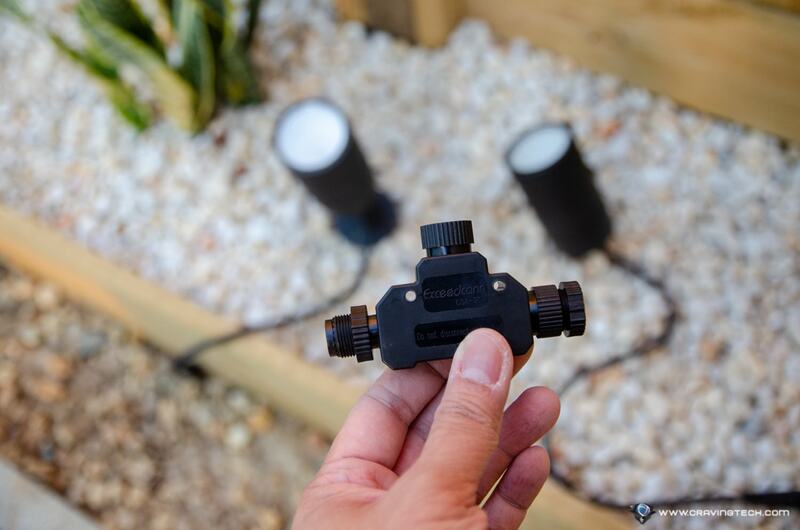 The spotlights can also be perfectly-angled to your liking, easily adjustable on the unit itself with your hand. Once all extension units were plugged, I turned the switch on and voila! Adding them into my Apple HomeKit ecosystem was pretty quick and seamless too. And before long, I have setup a new Room called “Backyard” and all the three Lily Outdoor units using the Hue app. 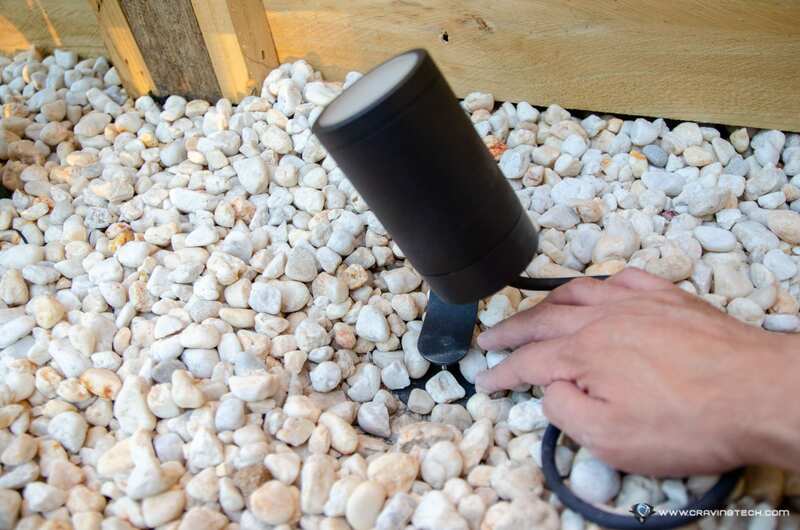 Note that you don’t have to install the lights on a garden bed like mine. 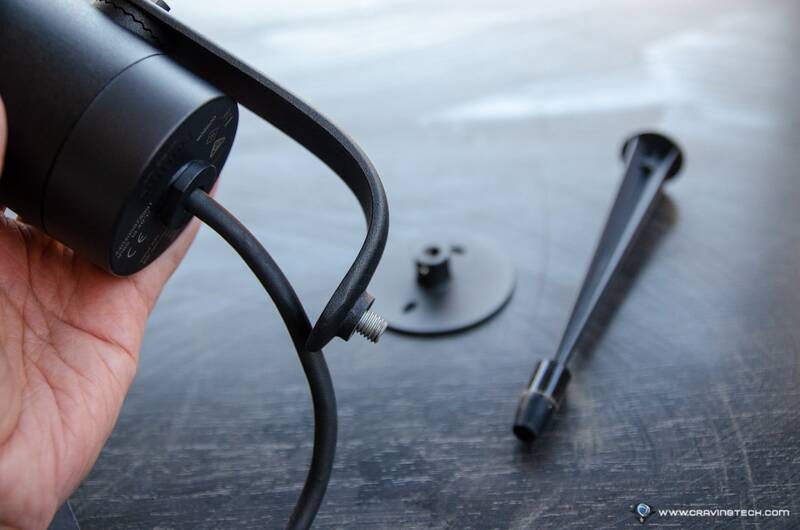 With the included tools, you can attach them to a wall, fence, pots, and other places around your home. 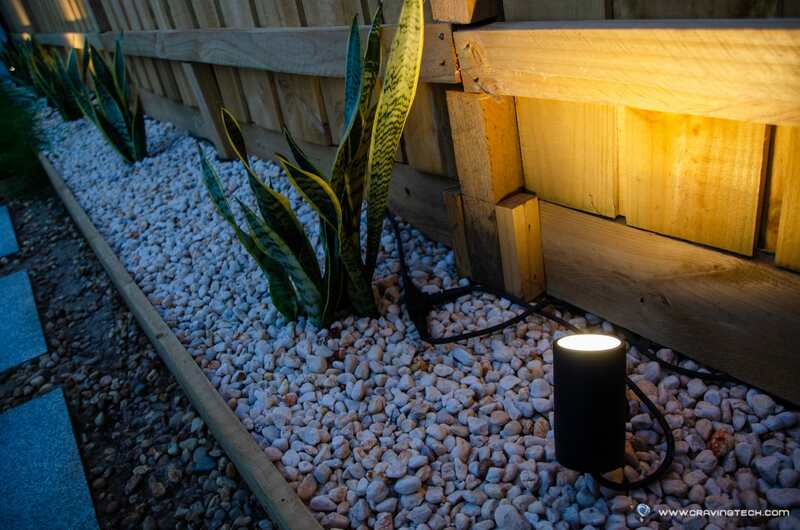 The Lily Outdoor spot lights are made with aluminium and has an IP65 rating (dust proof and water proof). According to Philips, it’s also protected against low pressure jets of water which means a heavy rain/thunderstorm is nothing to worry about. With a Matt Chrome finishing, Lily Outdoor looks really good and minimalist. When the lights are not on, I’m still in love with how it looks overall in my backyard. But when evening comes and it’s time for the show, they don’t disappoint at all. With over 16 million colours to choose from, you can set the lights up with different scenes and ambience. 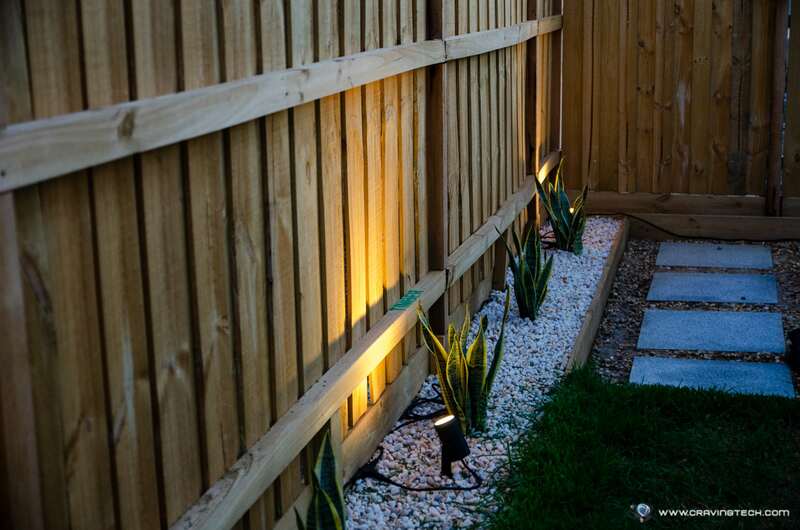 If you have several different trees and plants in your garden, you can lit each light separately to create a different, unique feel. We’ve just got our landscaping done in the backyard so there’s not much to show here. 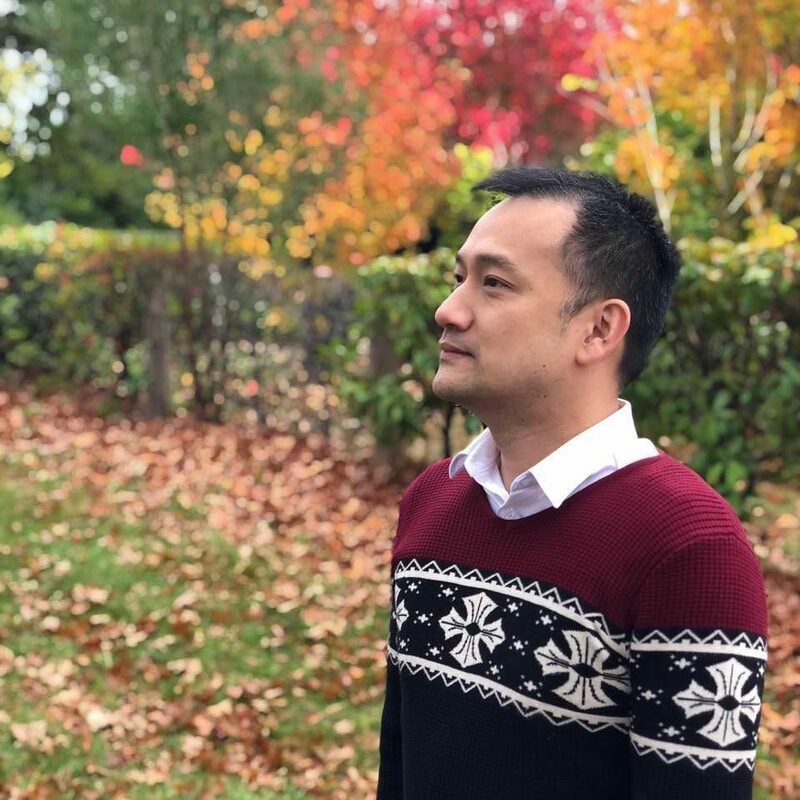 However, even when I set the lights to be in sync with one another (i.e just showing the same light colour), these spot lights already take my backyard’s aesthetic to the next level. I have also set the lights to turn on automatically every night at 9pm through the Hue app, and switch themselves off at 11pm. I’m planning to set up my D-Link Omna security camera as a motion sensor to trigger these lights outside of those hours. Very handy when we let our dog out for a toilet break in the middle of the night, or to scare an intruder away. Thanks to the Apple HomeKit integration, these are not just your ordinary spot lights. There are many combinations, integrations, and possibilities to be made with the other Apple HomeKit devices I have at home. 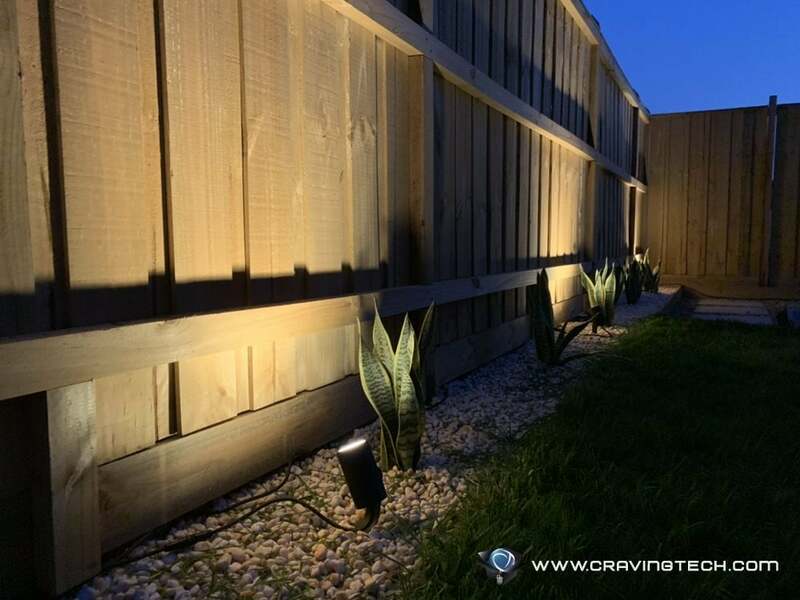 For example, I’m thinking to set up my Elgato Eve Door & Window on the Alfresco sliding door so the lights will automatically be turned on each time I go to the backyard (and turned off after). You can also change the spot lights colour to a blinking, bright red when an intruder is detected while you are asleep or away from home. That’d be cool too. 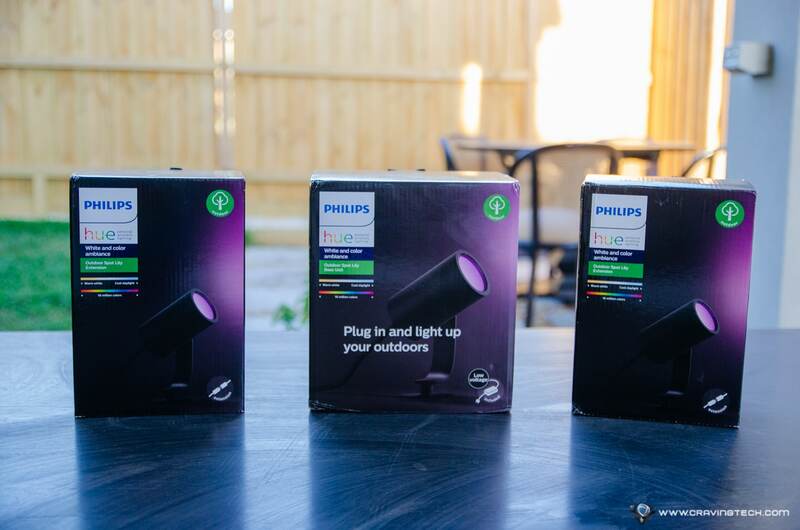 Thanks to the smart home integration capabilities, these Philips Hue Lily Outdoor spot lights are not just there to illuminate stuffs. With the right creativity and tools, you can set them up for some awesome home automation and ambiance. 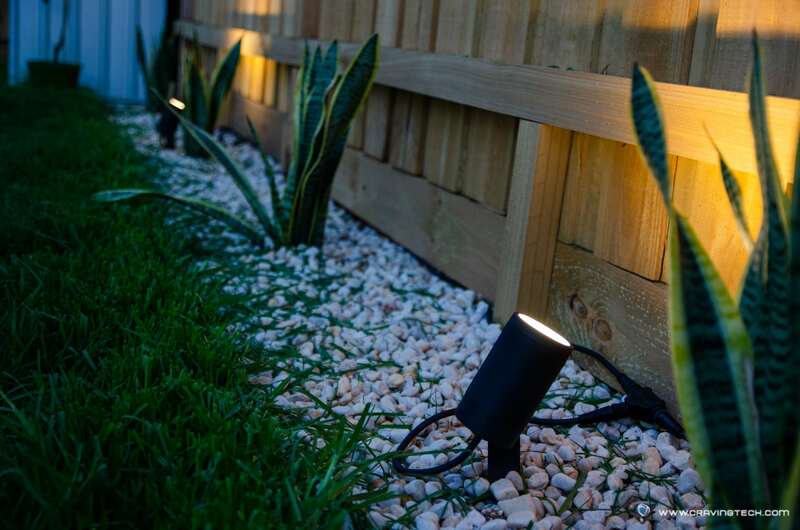 Sure, on itself, the Lily Outdoor does bring the “wow” factor to your backyard or garden. And when you set the light colour, angle, and position perfectly, you will not be disappointed. 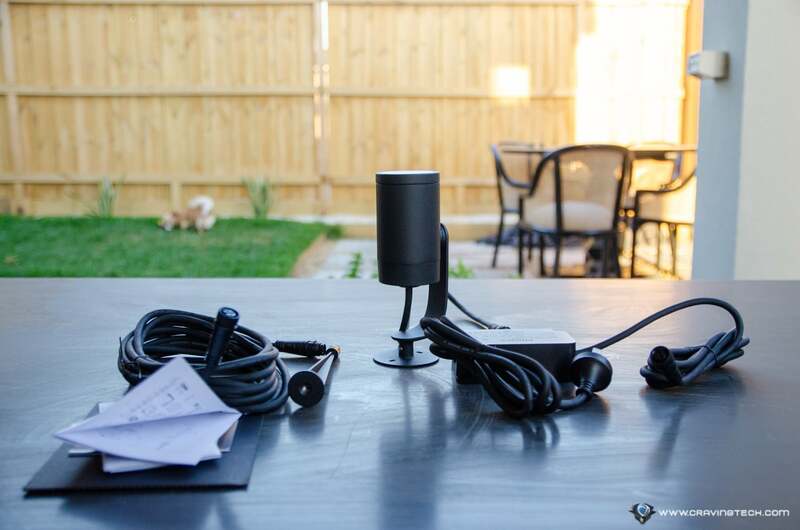 But if you have other Hue units or smart home devices throughout your home, you can create many different smart integrations that don’t just make your backyard dance with lights, but can be used as smart notifications and more. These don’t come cheap, of course. For a cheaper solution, you can just grab a bulb and a spotlight unit from IKEA or Target. 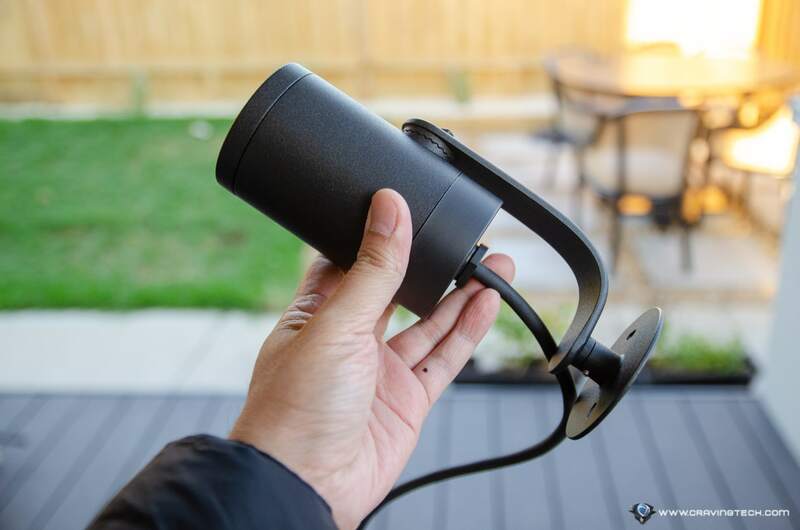 However, the Lily Outdoor works out of the box, supports extension for a literally simplistic plug-and-play installation, and more importantly, extend your smart home capabilities to the next level.